Cenote Popol-Vuh is a hidden paradise located on kilometer 32.7 on the Ruta de los Cenotes (route of the cenotes) between the municipality Puerto Morelos and the small town Leona Vicario. We are just in the heart of the jungle. To arrive it will take you 1.7 km of a rustic walk through our wonderful and incomparable mother nature. The magic of our establishment is its location: we are far away from the noises of the city and the lights that make it impossible to watch the stars on the night sky. That is the reason we chose to forgo electronic energy and only work with solar panels and don´t offer a wifi connection. In some cases, the telephonic coverage can also be interrupted. 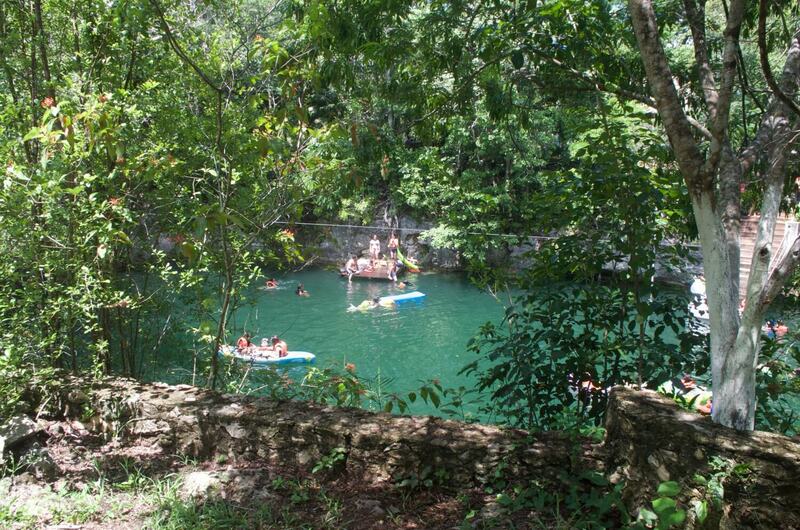 Cenote Popol-Vuh invites you to disconnect from the world, to enjoy company in wonderful mother nature and to relax.